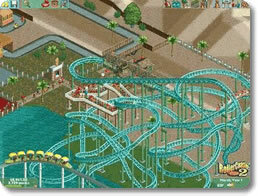 Games that are a part of the Roller Coaster Tycoon theme park, business simulation series. RollerCoaster Tycoon 2 (pc) - Build your own theme park and rollercoasters! 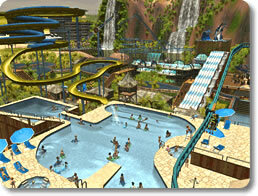 Rollercoaster Tycoon 3 Platinum (pc) - Create rollercoasters, laser shows, water slides & more!